Don't miss your opportunity to own this 3 bedroom, 2. 5 bathroom newly updated concrete block home on over half an acre! 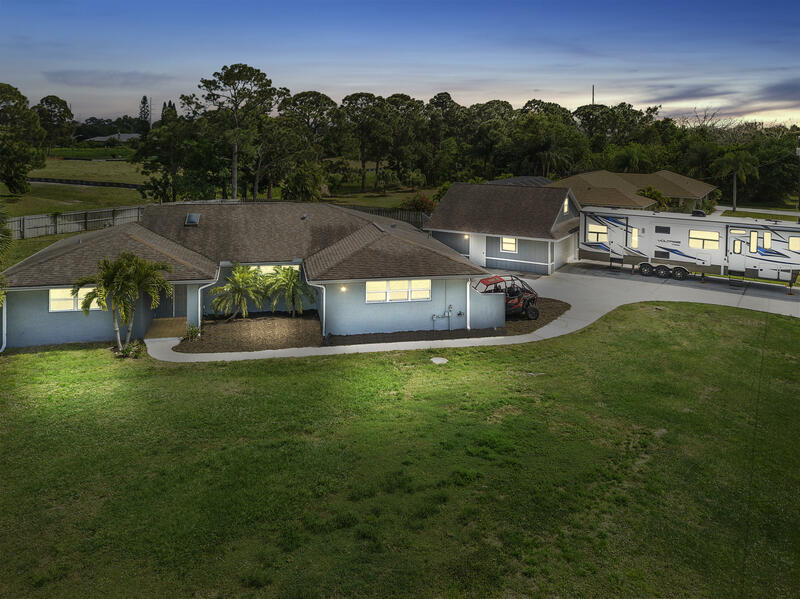 Located in the sandpiper bay area, this 2600 square foot home with vaulted ceilings and open concept has been beautifully updated. The luxurious master bathroom has been perfectly finished with a two person jacuzzi tub with tv & a steam shower all connected to its own tankless hot water heater. The kitchen has been fully remodeled with granite countertops, breakfast bar, & stainless steel appliances. Your heated salt water pool has all new above ground plumbing & hayward variable speed pump. This split floor plan home also has an office/playroom that could easily be a 4th bedroom and a two story detached two car garage complete with insulation & drywall. For more information or make an appointment to see property ID RX-10516621.